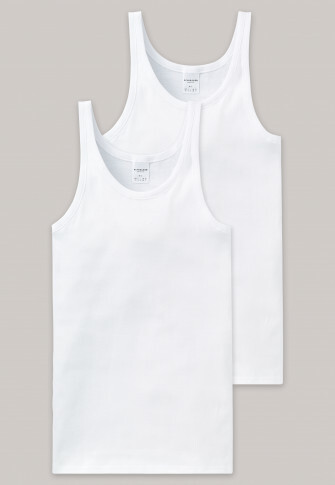 Underwear basics in a double pack: these two white men's undershirts are the ideal combination of a pure design and the best material. 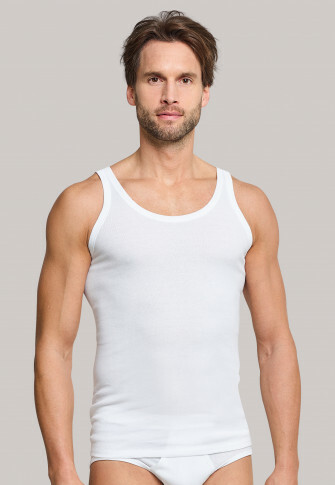 100% super combed cotton in fine rib quality does not only feel soft on the skin but also promises the highest wearing comfort. 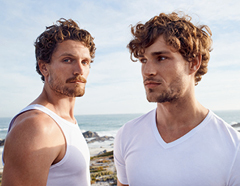 The ideal underwear for men, who appreciate comfortable, durable and long-lasting products in the usual best SCHIESSER quality. Ware in sehr guter Qualität und Passform. Danke !! !